2. City of culture: In the international city right in the heart of Europe there are a large number of museum and exhibitions of art or history like the famous Art Basel or the Basel Tattoo. At almost any time there will be great entertainment in and outside, whether through concerts, festivals or street parties. But in the end most important: Basel is full of innovation combined with tradition. You’ll get surprised over and over again. 3. 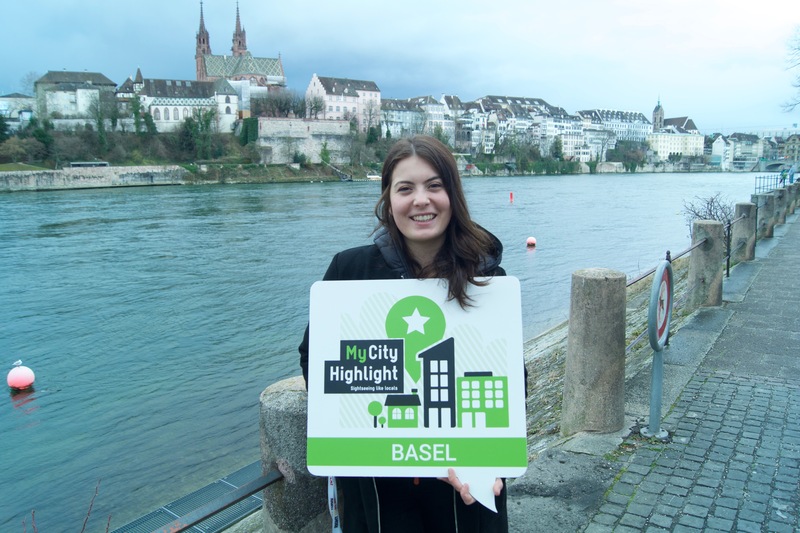 Mulitculti, uncomplicated and open-minded: The inhabitants of Basel are one of the most cosmopolitan people in Switzerland. With them you’ll get to know how to enjoy life with all of your senses. Beside culture and art, good drinks and food are as important as cool music for young and old to enjoy. Be simple and relaxed, just as the “Basler” are and you will get easily in touch with the locals and make the best of your trip. Fastest option: Taxi: It takes about 10-15 minutes to get to the city centre or the main railway station. Costs: approx. 50 CHF (~ 48 €). Cheapest option: Public transport: By bus line 50, the bus stop is directly in front of the main exit of the airport. There is a bus every 8 minutes and the journey to the main station takes about 15 minutes cost: 4.40 CHF (~ 4.20 €). In the meantime, there are also express buses, which only stop at Basel station and then at the airport stops. 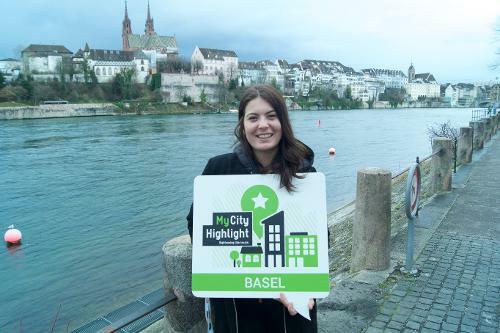 Thanks to its size Basel is easily and enjoyably walkable. To get around faster you can use the dense public transport system and take the tram or bus. The cheapest ticket (if you like to move spontaneously or just for short distances) costs CHF 2.30 and is valid for up to 4 stops (CHF 11.- if you buy the ticket valid for 6 trips). Otherwise you do well buying a ticket for zone 10 which includes almost the whole city, it costs CHF 3.80. If you plan to use public transportation all day long, you can buy a ticket called “Tageskarte”, it includes Basel and its suburbs for the price of CHF 9.50. Children from age 6 to 16 get a discount on the ticket prices. Children under the age of 6 are traveling for free. - Food specialties of the city: Basel-style gruel, Basel-style sliced beef (with dark beer sauce), Basel-style Salm (salmon), and Basel-style rösti (hash browns with Läckerli seasoning). Little treats: Läckerli (spiced biscuits), Basler Fastenwähe (caraway-seed pretzels), Mässmogge (hazelnut praline-filled sugar candies), Rosenküchlein (flower-shaped sweet pastries). - Drink specialties of the city: Ueli beer and Unser beer are two small Basel-based breweries that brew local beer in the city. - Typical meal times: lunch between 12.00 and 14.00. Dinner from 18.00 to around 22.00. - Tipping: people happily round up to the nearest round figure, mainly when they found the service and food really good, and this is seen well. - Is the tap water safe to drink? Yes, otherwise there is an inscription, so if there is no sign on the fountain you can drink the water without any problems. Despite the size of Basel, the city has some nightlife, with fewer clubs or discos and more bars and pubs. The few clubs are scattered throughout the city, with the majority in the smaller radius of the Grossbasel and Kleinbasel city centres, with some exceptions (such as Nordstern). Apart from that, the nightlife is mainly found in the city centre (Barfüsserplatz: e.g. Rio Bar), around Claraplatz (e.g. Kaserne and Bar rouge), and in Steinenvorstadt (e.g. Baltazar and Atlantis). You'll find something for everyone: whether it's a cosy pub, a piano bar, or trendy venues. In summer there are also five great bars along the banks of the Rhine in Kleinbasel. Lots of people who enjoy jovial evenings out in the open air can be found here until late at night. In many bars, nightlife in Basel starts as early as about 20.00, with lounges usually opening their doors from 21.00 and clubs from 23.00. - Spalenberg: the Spalenberg is perfect for leisurely strolling and shopping. Here you will find lots of small shops that are good for buying gifts. Some of the shops are rather expensive, but mostly offer unique, non-mass produced products. - Clarastrasse, Greifengasse, and Feldbergstrasse: there are some well-known shops on Clarastrasse, as well as smaller boutiques scattered in Kleinbasel. Shops usually open from Monday to Saturday from 9:00 to 18:00 or 20.00, are closed on Sunday (with a few exceptions like the shops in the Basel SBB station, smaller shops in Kleinbasel, and shops having Christmas Sunday sales). - You can drink the water from nearly all fountains, of which there are many in the city. - Although Basel is a manageable-sized city, many different cultures meet and live together peacefully here. - Although the Rhine is a tempting place to cool off on hot summer days, you should go only go in the river if you are a good swimmer and stick to the swimming areas as indicated on the information signs. - Baaseldytsch – the Swiss German dialect in Basel – is perceived as unattractive by many in the rest of Switzerland, but the Basel locals are very proud of their language. In some supermarkets like Coop or Migros as well as in the department stores of Manor there is free wifi available. After entering your mobile phone number in the respective field which opens when connecting with the respective WiFi you'll have to register with code you'll get by SMS. You'll automatically get connected next time. There is free internet access also at the Euro Airport and the Basel SBB train station. Also check out the more modern trams which have Wifi hotspots (eg. tram number 10, 11 and 17). An alternative for free Wifi is also the University, which is distributed in the city in many different locations. You can login there without registering. You can rent a bike directly at the main train station Basel SBB at "Rent a bike". There you can get a city bike for 30.- CHF a day or 145.- CHF a week (for more information take a look at their website www.rentabike.ch). You can also rent bikes at some cycle shops like for example "Velo Paul" located in St. Johann quarter (www.velopaul.ch) for 25.- CHF a day. The shop "Wenger 2 Rad" lets E-Bikes for 45.- CHF daily (www.wenger-2-rad.ch). Or even some hostels offer city bike rental like e.g. "Basel Backpack" for 20.- CHF daily, located in Gundeldingen (www.baselbackpack.com). By the way: If you would like to discover the city by bike but not ride it yourself, you can order a "VAXI", that's a taxi bike where up to 3 passengers can sit at the back (approx 1 CHF/ minute, see www.velotaxi-basel.ch for more information). There are many nice places to have a brunch in Basel, of course it all depends on what you want. Should it be rather uncomplicated and child-friendly? Then visit the "Zmorgeland in der Markthalle", there are a lot of delicious things and a play corner for children. Would you like it to be more classy and with a beautiful view? Then visit the Brasserie les Trois Rois. During the week you'll always find a small breakfast at Zum Kuss near the train station and if you want to eat something local and seasonal at the weekend, then stop by at Café Frühling. Café SMUK also has great brunch during the week and weekends. 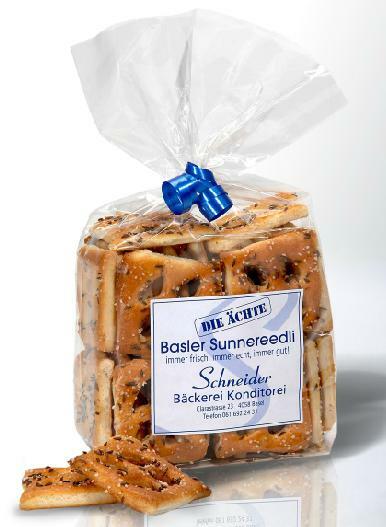 The original Basler Läckerli - gingerbread-alike with crystallized fruit and nuts - a must while staying in Basel. Get them at: Läckerli Huus, Gerbergasse 57, Basel. This delicacy is produced since 1925. Available at the bakery Schneider, Clara Street 23, Basel. 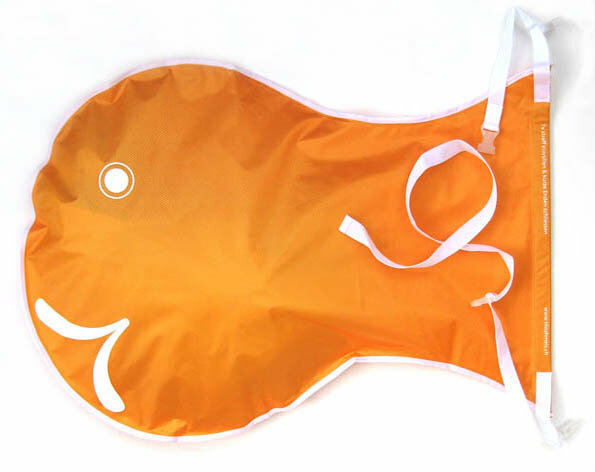 In Basel, many use for swimming in the Rhine a "wrap fish", which is a waterproof bag, where clothing is kept dry and at the same time serves as a support. In the summer, found in almost all souvenir shops. The Cartoon Museum Basel is the only museum in Switzerland devoted exclusively to satirical art – ranging from the caricature to the comic.